At the outset, I would like to congratulate you for assuming the presidency this month and thank you for convening this important meeting. I also welcome the report of the Secretary-General on conflict-related sexual violence that informs our discussion today and the helpful briefing of Ms. WallstrÃ¶m. The report and meeting are timely and necessary, as sexual violence remains a major threat in the lives of women, men and children, particularly in conflict and post-conflict situations. 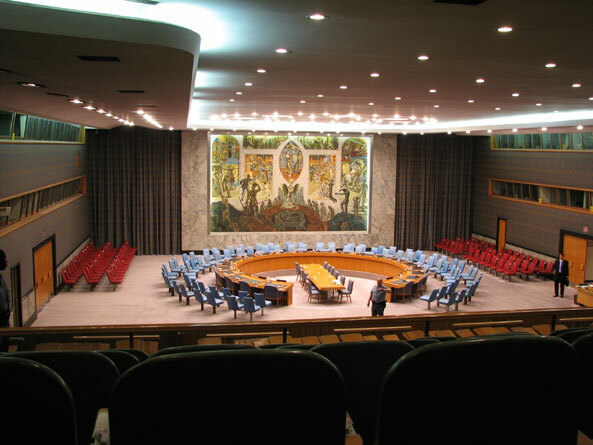 First, the importance of the focus of the international community: with the end of World War II in 1945, and with the creation of the United Nations, humanity was saved from another World War, but it was not spared the effects of war and atrocities. Over twenty million people were killed in the 265 wars and conflicts from 1945 to 1990, and in the 186 wars and conflicts that erupted from 1990 to present. In the 1990s, after the Cold War, we increasingly faced a new form of wars with a decrease in the number of inter-state conflicts, and an increase in the prevalence of intra-state tension and violent non-state actors, which brought new waves of atrocious horrors, including in my country, Afghanistan. 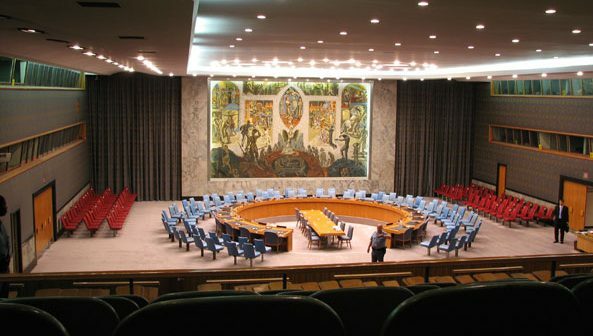 The atrocities emerging from the conflicts of the 1990s, including genocide, war crimes, and crimes against humanity raised a tenacious challenge for the international community and subsequently fuelled the prompt application of international laws and norms in response. The shift in focus of the international community was significant, as illustrated by the establishment of vital bodies such as the ICTR in 1994 and the office of the SRSG on Sexual Violence in Conflict in 2010. Second, the interconnectedness of sexual violence and other atrocities: while sexual violence is embedded within the definitions of war crimes and crimes against humanity, the international community should take a holistic approach to these atrocities, as they cannot be separated from one another. Furthermore, every atrocity is spawned from the all-encompassing destruction of society caused by war; we cannot truly stop atrocities such as sexual violence without ending the violence, wars and conflict, which breed them. Third, the breakdown of cultural values: war is pervasive. It tears down common understandings of decency and respect for human rights. It kills morals. It breaks down social contracts. It erodes solidarity and trust. As I saw in my own country, war and conflict resulted in a corrupting prevalence of a militant-culture, countering the societyâ€™s values that were based on tolerance and respect. War and violence, during more than thirty years of conflict, led to not only a broken society and state, but also sometimes to the unsettling of cultural norms, and the moral tenet of society. What emerged was, in fact, a militant anti-culture, caused by war. Crimes against Afghan people were committed, and human rights violations were extensive, especially violence against women. The war-culture is about disrespecting women, by using atrocities to achieve its aim, disregarding the traditional values in which women were respected as the centre of family and lifeblood of the society. We saw what had never before been seen in the history of Afghan women â€“ a sequence of killing, maiming, and violence. As noted by the Secretary-Generalâ€™s report, there is often a breakdown in the rule of law and the capacity of civilian and military justice systems to address widespread sexual violence in conflict and post-conflict countries. These fragile states are not only hindered by the weakness of rule of law or the physical destruction of homes and infrastructure, but the erosion of the very fabric of society. Tragically, Afghanistan is all too familiar with this scenario. However, Mr. President, in the last ten years, after the fall of the Taliban, the Government of Afghanistan with the support of the international community has worked to put an end to violence in the country, essential for security and protecting rights of women, men and children. Afghanistan has adopted the Elimination of Violence Against Women (EVAW) law which has provided the government with stronger judicial means through which we can combat sexual violence more effectively. After its adoption, about 600 cases were opened by prosecutors throughout the country. That is real progress towards breaking the silence with regard to violence and sexual violence, and we are confident that in the years to come, our efforts will bear more results and women will be more safe and respected and will receive the justice they deserve. The President of Afghanistan also established the Commission on Elimination of Sexual Abuse of Children and Women, which is comprised of the ministers of Interior Affairs and Justice, as well as a member of the Supreme Court.Â This Commission advises relevant organisations on how to fight against womenâ€™s and childrenâ€™s sexual abuse and encourages relevant reporting to the Commission. The Government of Afghanistan is committed to restoring the integrity of Afghan women on the fundamental principal that there can be no democratisation, and no true promotion and protection of womenâ€™s rights without the participation of women. We believe that the provisions made for female political power in our constitution are helping to guide us towards achieving inclusivity and ensuring a real voice for women in the public discourse on Afghanistan’s future. Afghanistan acknowledges that the accomplishments we have outlined are only first steps towards achieving gender equality and women’s empowerment; the Afghan Government will therefore continue to dedicate itself to the elimination of sexual violence and to the advancement of womenâ€™s rights and empowerment. In that regard, the Government of Afghanistan welcomes SCR 1325, 1880 and 1889, which include the combat of sexual violence as a matter of peace and security. The international community has an essential role to play in supporting the ongoing efforts in conflict affected and post-conflict countries to end sexual violence and violence against women, combat impunity, and offer assistance to victims of sexual violence. But we not only need the support of the International Community, but its consciousness not to forget about the violence that affected the lives of women, men and children. We must work together to ensure that such atrocities will never happen again.